Dreams can present to you the intuitive feelings that until now have been blocked by day-to-day problems. Countless scientists give credit for some of their most spectacular discoveries to dream messages. It is a well-known fact that Thomas Edison slept in a chair in his lab so he could immediately try out any ideas he got through dreams. The discovery of the benzene ring by Professor Kugel came to him through a dream. Without his discovery, organic chemistry would not exist. These cases are by no means isolated. The sewing machine, the DNA molecule, and the bicycle are all documented cases of dream discoveries. You may believe that you do not dream, but if you deliberately get more than eight hours of sleep each night, you will find that you do dream. If you want to be sure to dream, eat a heavy meal before retiring and lie in bed in the morning thinking of your "safe place" (see Constructing a Magickal Safe Place). Dreams are at such a low level of the mind, though, that most of them are not recorded in the conscious memory. Even when you wake in the middle of the night after a dream, often you are unable to remember what you dreamed the next morning unless you make some notes. Numbers and letters, which can be of prime importance in your life, are often completely lost by the time you completely finish breakfast. This is why, as part of your Seeker Training, and as a recommended life habit, you should begin to keep a dream book, and if you wake in the middle of a dream, that you make a few notes, paying particular attention to any numbers, letters, or names that you dream about. Similarly, before you rise in the morning, note what your most recent dream was about. In most cases, your own mind directs and stages your dreams; it is an attempt of your subconscious to try and tell you something, and you would be foolish to ignore that information - it is most important. Scientists have found that dreaming consists of many different states. One of the most common that they have defined is that called the REM (Rapid Eye Movement) state. In a REM state, the closed eyes move rapidly, as if watching a movie. In fact, this is the time when you are watching something - be it a play of your own life, or a play on a subject from your own subconscious mind about ways to solve a specific problem. During the night, you will cycle into several periods of REM sleep, but there will also be several episodes where you are apparently unconscious. Scientists have found that in these unconscious times, the spirit may leave the body and travel astrally. Such astral trips play an important part in understanding Magick, for astral traveling to work for the good of Nature, or to join in a ritual, are part of the rich heritage of the traditional Magus. It has been proven that these activities of the mind during sleep states are essential to good mental health. When researchers continually wake sleepers and prevent astral experiences, the subjects become emotionally (and therefore mentally) unstable and incapable of functioning. Those who label these activities as "dangerous" are in fact contributing to the instability and mental illness so prevalent in today's world. The ability to enter these two states (REM and Astral Travel) at will requires continuous practice if you are to do it consciously and on demand. Research shows, too, that when you get into these states, your brain-wave patterns will change. This effect is also known in meditation, which with continuous practice and in concert with keeping a dream log, will eventually lead to Lucid Dreaming - REM sleep you can control. It will also, eventually, lead into Channeling, which will teach you how to project Astrally with practice. Begin devoting your first few minutes after awakening to recording, in your Mirror Book or a separate notebook, your dreams of the night before, as best you can remember them. Mastery of your dreams in this way not only will give you an insight into your subconscious, but is an excellent preparation for Astral Traveling. In dreaming, you receive two kinds of symbols: those created by your own mind, and symbols universal to humanity (See Universal Dream Symbolism). 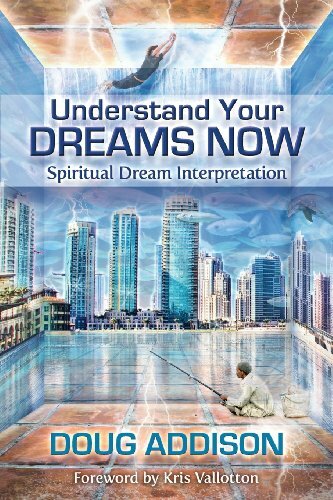 However, what you receive in your dreams is uniquely tailored to your background and experience. Therefore, in most people's dreams, the symbols are personally biased and cannot easily be interpreted by an outsider, unless the outsider is able to explore with the dreamer the personal, individual significance of the symbols the dreamer saw. For example: To many people living away from the sea coast, dreaming of seagulls would be taken as a positive thought, rather than the very negative imagery it gives people who live with the messes gulls create. Not only that, but on an almost minute to minute basis, your own symbolic imagery changes. You are on the street; you see an accident involving a blue car. In your own mind, subtle changes now occur in your feelings about the color blue; from a quiet, cool color, it may now become a symbol of death and destruction. Only you can adequately interpret your own dreams; or there must be a personal give and take to make clear the meaning in your reality of the symbols you saw. Professor Carl Jung showed that some symbols are universal. Do not take those guidelines as absolutes, however; your own mind subtly modifies them and gives them meanings significant only to you - the compendium of dream interpretations is not an absolute - it is an aide; suggestions as to what a symbol might mean. If you consistently dream of rain and water, this probably means you weep inside, so you should analyze your life conditions to learn what causes such sorrow, and should use your meditation techniques to overcome your problems. Similarly, if you dream of a rabbit in a negative situation, it is quite possible that you have a poor or timid attitude towards making love. Recognizing that this attitude exists, you can take steps to remedy it and can make allowances for yourself so as to become more serene in relationships with significant others. Also note: almost any book on dreams contains a useful table of standard symbolism. A great guide that I have used in the past! I have always found dreams fascinating. I've noticed that a lot of people get hung up on the individual characters in a dream and totally miss the message being given. I didn't realize that astral travel was actually a dream state. Great to see you dropping by LavenderRose. It is easy, without any doubt, to let one or more characters in a dream dominate the dream to the extent that you miss the meaning of the dream. Astral travel can also be from a "meditative" dream state.